1) This week was my time of the month week which I swear I am always writing about but I guess in reality it’s just what I write about every 28 days. The cramps and hormones definitely affect my running and ability to feel like a human for a few days but I have come to learn what to expect and just adjust things accordingly. 2) I absolutely love my easy run on the treadmill workout plan. If you haven’t tried this workout yet but often find yourself running on the treadmill, please try it. I’ve been on the treadmill a lot lately and I know there’s only more to come this winter. I find myself following this workout every time I run on the treadmill, be it for a few warm up miles or as a complete easy run. It’s the perfect speed combination for me to keep things easy while also engaging my mind and body. 3) It’s already time for me to renew my subscription to the Pure Barre Flex Series: Tone in 10 Online Workout! Wow, that one year subscription went so super fast. 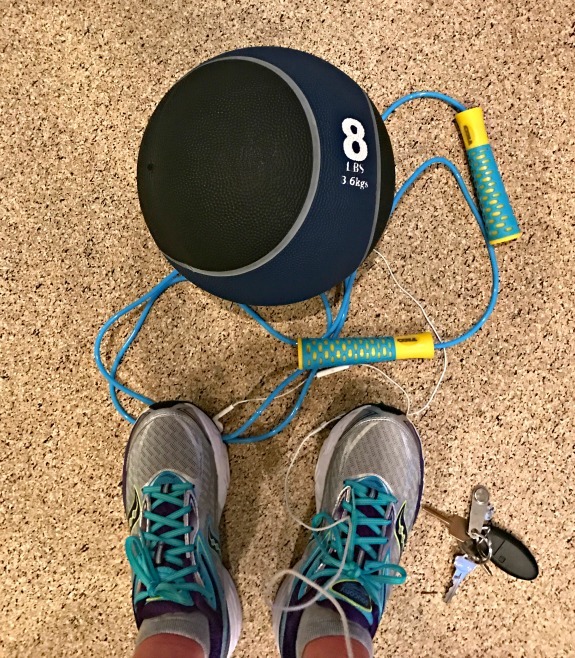 I love having the Flex Series for the 10 minute workout options because sometimes all I want/have time for is 10 minutes of Pure Barre but then sometimes I combine the workouts to create more of a complete Pure Barre workout. For the price ($19.99 for one year access), it’s just a great addition to my routine. 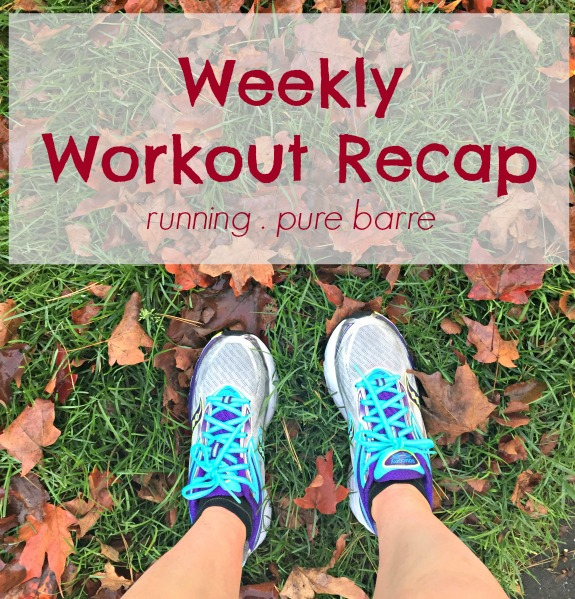 I didn’t plan on 30 minutes of Pure Barre today but once I got started with the tone in 10 series, I just kept going which led to three 10 minute Pure Barre workouts. Lately I run 5 miles on Monday mornings but the way I was feeling kept me from going any further than 3.25 miles. Bleh. I can’t say that I felt much better than yesterday as my lower legs and feet were feeling their usual time of the month feelings of shin splinty stiffness while being heavy like lead but I ran easy and just enjoyed the fresh air. Love my gym days lately! Although I totally felt like a whale (note that this doesn’t mean I think I look like a whale, I was just so bloated that I felt like one), I had a great workout. I was so happy that I remembered my jump rope today! It’s such a great workout and I love using it in between my treadmill miles. I jumped a whole bunch in between running and after I finished the last two miles. 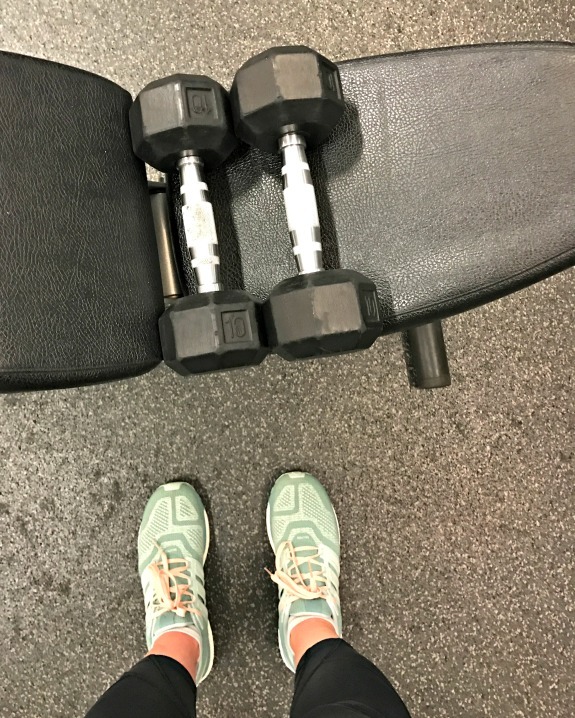 Another running and strength workout in the gym! Gosh I love these workouts right now. I started my morning with Pure Barre Tone in 10: Full Body and then headed over the gym for the treadmill. The sun is rising a little later again which affects my outdoor runs so thankfully I like the treadmill! This run took me 4 miles to feel warmed up. It was not fun those first 4 miles, not fun at all. However, I knew I would warm up and feel good eventually so mentally I stayed in the run and never considered going home. Sometimes a longer warm up makes the run fly by because by the time you hit your groove, you are that much closer to finished. A girl needs a break after running six days in a row. I will probably pick a Pure Barre workout, most likely the Pure Barre Pure Results with focus on thighs. If you missed my review, it’s here! Have you been running on the treadmill more often lately? Are you a fan of online workouts/workout videos? Which do you like best? It’s really nice to have some online workouts to use once in awhile. Not sure if I will renew anything after my subscriptions end- I may just use YouTube for awhile! I think if I had a treadmill I would sometimes use it when its dark and cold. Great suggestions, Meredith! My biggest trouble is health. My body is rather weak although I almost have no serious diseases about health. So I always want to join the efficient exercises. Perhaps I should read your guide carefully and start it in the beginning of next month. Thank for sharing! ha, this made me laugh! Haven’t been on the treadmill yet this year but with this week’s forecast I might have to hit the gym at least once! yeah it was pouring this morning and I saw more rain for later this week. at least it isn’t snow down here yet!